In addition to the IPC, the folowing is a list of the invited participants. Born 11.12.26, married, 3 children, 9 grandchildren, 1 (maybe 2 when we are in Trondheim) greatgrandchild. Ecole normale supérieure 1946, agrégation 1949, doctorat 1954. University positions: Montpellier 1954 (full professor 1957), Orsay 1961, retired and Emeritus Professor since 1994. Memberships: French mathematical society(SMF), academies of sciences of Hungary, Poland and France. Presidencies : SMF, Université de Paris-sud, ICMI, comité scientifique des IREM, CREM (commission de réflexion sur l'enseignement des mathématiques), union rationaliste, CNFHPS (comité national français d'histoire et de philosophie des sciences). Works in mathematical analysis (Fourier analysis, complex analysis, approximation theory, probability methods and Baire methods) and related fields. Contributions to history of mathematics and to math education (launching of the ICMI studies). Books: several, the last with Lemarié-Rieusset on Fourier series and wavelets, also coordinator of l'enseignement des sciences mathématiques (2002). 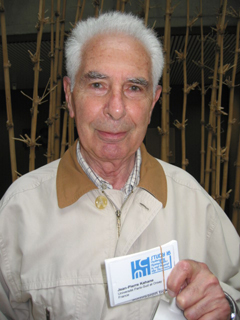 President of ICMI from 1982 to 1990 and Past President in 1990-94. Professor Kahane has also had experience in politics and government. He has been a member of the French Communist Party since 11.12.46. In 1980-84 there was a Mission interministérielle de l'information scientifique et technique (MIDIST) that played a certain role in the diffusion of science as part of culture, including classical and new ways of communication, and he was the president, which involved status as a member of the cabinet. Born in Paris (1937) of Russian emigre parents. French primary and secondary education, BS degree from New York University (1957), MS (1961) and PhD(1965) from Moscow State University. Taught at MSU (1963-1974) as assistant and then associate professor of the Topology Chair. Simultaneously taught at Boarding School #18 for gifted high school students (1969-1974) under A.N.Kolmogorov and participated in his secondary school math syllabus reform (early 70s). Was on the Jury of the National Math Olympiad in the 60s and 70s and in the two IMOs in Moscow. He was forced to leave MSU for political reasons in 1974, worked as the math editor of Kvant magazine (1975-1989), wrote several articles and did a lot of creative rewriting of popular science materials for Kvant. He was (and still is) active in the International Mathematics Tournamentof Towns (in particular in its Summer Schools). He resumed teaching at the university level after perestroika (1989), first at the Moscow Institute of Electronics and Mathematics, and then at the Independent University of Moscow. Was the Moderator of the Panel Mathematiques et Grand Public at the First Congress of the European Mathematical Union (Paris 1992). Was one of the founders of the Dubna Summer School Contemporary Mathematics (2001) and the head of its Program Committee (2001-2006). Participated in the International Congress of Mathematical Education (Copenhagen, 2004) as an invited panel member of one of the sections. He has written several popular science booklets in mathematics and a longer book (Knots, Mathematics with a Twist) published in seven languages. 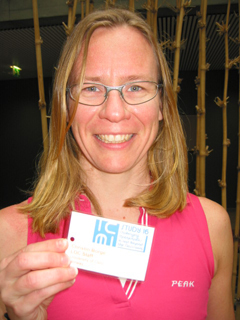 Gave one of the two plenary talks at the French-Finnish Conference Teaching mathematics after Pisa 2003 (Paris, February 2006). Invited to the International Congress of Mathematicians (Madrid, August 2006) as one of the four speakers of the panel discussion organized by the European Mathematical Union. Alexei is basically a research mathematician (algebraic and geometric topology) and university teacher, without any published research work in mathematical education, but has always had a strong interest in mathematical education, mathematics competitions, and the popularization of mathematics. Mark Applebaum (Ph. 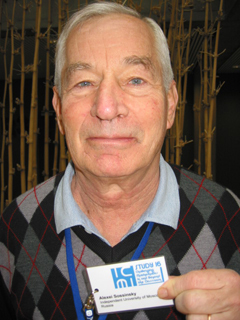 D), Chairman of the Department of Mathematics, Kaye Academic College of Education, Be'er-Sheva, Israel. He is Head of the Mathematics Department in the Mathematics education program, MOFET (Mathematics, Physics and Culture) Group for the Advancement of Teaching. He has a rich experience in preparation of mathematics teachers for primary and secondary schools. His research and design interests belong to the domains of Development of the Critical and Creativity Thinking and Teaching Gifted and Talented Children Mathematics. He is an author of more than 50 publications, including 20 articles and 6 books. Among the books coauthored with colleagues from different countries Elegant Mathematics in Problems. His textbooks Introduction to Number Theory and Mathematical Induction are broadly used in undergraduate courses for mathematics teachers. He takes part in the development of mathematical curriculum for promising students at the different grade levels. He is also an assessor in the committee for the development of learning programs for secondary school mathematics teachers in Israeli Colleges. Inger Christin Borge did her Cand. Scient. degree in mathematics at the University of Oslo, Norway, and then went on to Oxford University, UK, for a D. Phil. in mathematics. The thesis was entitled 'A cohomological approach to the classification of p-groups'. After being a guest at ETH in Zürich, she went back to Oslo and worked as a project coworker for matematikk.org (a Norwegian mathematics website for teachers, parents and school children of all ages), University lecturer and postdoc at the Department of Mathematics. She has also worked as an associate professor in mathematics at the teachers’ college in Vestfold, Norway, where she lectured on mathematics and mathematics didactics. Christin is very interested in mathematics education and bringing mathematics to the public. Today she is based at the University of Oslo as an academic librarian at the Mathematics Library and also gives lectures for the Department of Mathematics. She is a member of the algebra group and gives courses to teachers at high school level. 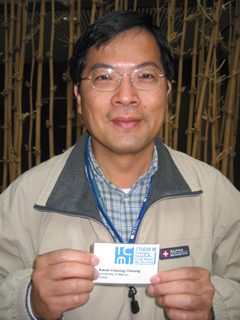 Dr. Kwok-Cheung Cheung was a Commonwealth scholar. He obtained his PhD from King's College, University of London. His doctoral thesis, supervised by Paul Black, earned him the International Association for the Evaluation of Educational Achievement Bruce Choppin Award in 1990. Formerly Dean of the Faculty of Education, University of Macau, he is currently Full Professor (Curriculum and Instruction) and Chairman of the Academic Council of the same faculty. He is recipient of his university's Best Teaching Award and Excellent Research Award. In 2004, he was a K.C. Wong Foundation Visiting Scholar at Beijing, Capital, Nanjing and East China Normal Universities. During the past two decades, he has visited many institutions in Mainland China, Germany, Sweden, United Kingdom, Australia, Taiwan and Singapore for scholarly work and teaching in the areas of mathematics and science education, multiple intelligences, curriculum evaluation, information and communication technology and early childhood education. Prof. Cheung's recent research focuses on the explanation of variances of mathematical literacy and problem-solving competence through the lens of 2003 OECD PISA Study. He is also involved in the recent development of the National Mathematics Curriculum Standards in Mainland China. The present ICMI 16 Study is set against the backdrop of how challenges can be exhibited and realized in mathematical experiments and investigations in the Chinese national curriculum. Gema Fioriti is Professor of Mathematics and Cosmography, Magister in Didactics of Science and Mathematics from the Universidad Autónoma de Barcelona, registered as a Ph.D. in Education of the Didactics of Science and Mathematics Department at the same University for thesis work. Researcher, Cathegory II, of the Research System at the Secretariat of University Policies, Ministry of Culture and Education of Argentina. Director of CEDE (Center of Studies in Specific Didactics) of the School of Humanities, Universidad Nacional de General San Martín (Argentina). Director of projects and research institutions and trainer of grant holders in research work and thesis students. 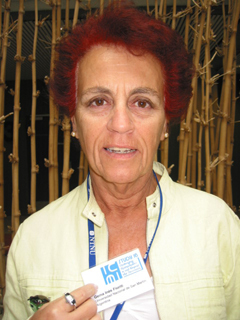 She has been working since 1975 in the training of high, primary and pre-primary school teachers at the School of Science Education of the Universidad Nacional del Comahue; since the year 2000 she has been working in the specialization cycle for professors of mathematics as a Regular Full-time Professor of the Degree in Science – Orientation in Mathematics at the Universidad Nacional de Gral. San Martín (Argentina). She is a member of the technical team of the Curriculum’s Office at the Secretariat of Education of the Government of Buenos Aires: she prepared the curriculum for the first and second years of the high-school level; participates in the projects Zero Drop-Out, aimed at youngsters that abandoned high-school and Writing with teachers, a project to produce papers with teaching proposals for the implementation of a new curriculum for the first and second years. 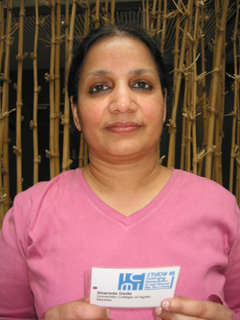 She has taught advanced courses and seminars on teacher training for every level within the teaching activity. She is the author and co-author of many books, scientific articles and publications for teacher training by means of which she transfers the results of her research work. 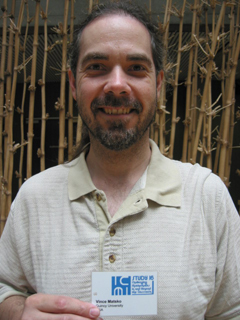 Viktor Freiman has been Associate Professor of Mathematics Education at the University of Moncton, New Brunswick, Canada since 2003. Prior to this, he was Senior Researcher at the Russian Academy of Educational Sciences in Moscow, Russia. His PhD study was conducted in 1986-1990 in the field of Computer Education followed by participation in the comparative study of Russian and German schools conducted in 1991-1994 in Münster, Germany and in Moscow, Russia. He wrote a chapter on mathematics education for the study volume published in 1995. After moving to Canada, his research interests were focused on identification and nurturing mathematically gifted students at early age as he conducted a longitudinal action research in the K-Grade 6 classroom using challenging situation approach. Results of this study were presented at the 10th International Congress on Mathematical Education, TSG4 (Copenhagen, Denmark, 2004), at the Annual Meeting of the American Educational Research Association (Montreal, Canada, 2005) and published in Montana Mathematics Enthusiast Journal. His paper presented at the ICMI-16 Study features his new Internet based project CAMI (Chantier d’Apprentissages Mathématiques Interactifs), which pursue his interest in challenging mathematics, this time using technology. This project offers challenging problems on a weekly basis for K-Grade 12 francophone students. Some preliminary findings of this research were presented at the NAGC Convention in 2005 in Louiville, KY, USA and published in the Zentralblatt für Didaktik der Mathematik in 2005. Sharada Gade is currently finalising her thesis based on a sociocultural classroom study dealing with meaning making and problem solving towards a PhD in Mathematics Education in Norway. Prior to her doctoral studies she has had 12 years of teaching experience at an experimental and compulosry school in India. She has authored Creativity: Modern School Mathematics, a resource book for teachers, and Treasure in Measure, a story on measurement for 12 year olds, the first published and the second in press. She has conducted many workshops for mathematics teachers and published in print media, towards debate on classroom teaching-learning and the popularisation of science. Gunnar Gjone is professor of mathematics education in the Department for Teacher Education and School Development at the School of Education, the University of Oslo where he has been working since 1992. Prior to this he has worked at different colleges of education in Norway. He also worked at the University of Trondheim for several years in the 1970s. 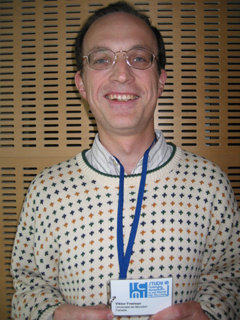 He has been editor of NOMAD (the Nordic Journal of Mathematics Education) and is currently on the editorial board. 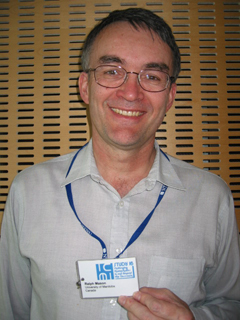 He was member of the International Programme Committee for ICME 10 in Copenhagen in 2004. Since the mid 1980s he has been working on national examinations in mathematics in Norway, both at lower and upper secondary level. He was also part of the group conducting the PISA 2000 study in Norway. He has also worked on the national testing system in mathematics in Norway. His research interests focus on the use of ICT both in the teaching and learning of mathematics as well as its use in testing. He has also a strong interest in curriculum development and assessment in mathematics. International Coordinator of the Association Rallye mathématique Transalpin. Associate Professor of Foundations of Mathematics at the Mathematics Department in the University of Parma (Italy), now retired, but still a member of The Local Unity of Research in Mathematics Education of the University of Parma. Researcher in mathematics education, history of mathematics, history of mathematics in mathematics education, editor of the bilingual Journal L¹educazione Matematica. Member of the International Advisory Board (IAB) of JRME. 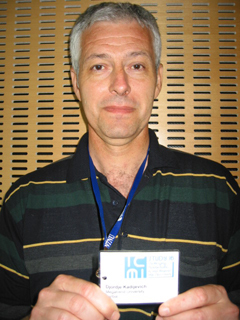 In the past: Member of the Committee on Mathematics Education of EMS (The European Mathematical Society) and President of CIEAEM (Commission Internationale pour l¹étude et l¹amélioration de l¹enseignement mathématique). 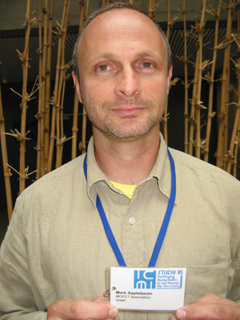 Djordje Kadijevich, with a PhD in informatics from the University of Novi Sad (1995) and a PhD in mathematics education from the University of Joensuu (2004), is professor of informatics at Megatrend University of Applied Sciences and research fellow at Mathematical Institute of the Serbian Academy of Sciences and Arts. He also taught mathematics and informatics at several secondary schools in Belgrade; didactics of mathematics at Teacher Training Faculty, Belgrade University; didactics of informatics, methodology of research in mathematics and computer science education and multimedia in education at Mathematical Faculty, Belgrade University; researched at Institute for Educational Research in Belgrade working as TIMSS 2003 National Research Coordinator in 2001; and served as educational adviser for informatics at Belgrade Board of Education and as educational supervisor for the same area at the Serbian Ministry of Education. 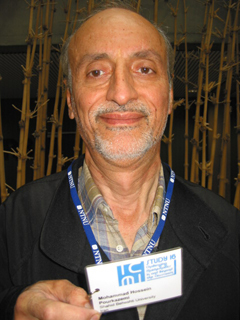 His papers have been published in several international journals such as Teaching Mathematics and its Application, The International Journal of Computer Algebra in Mathematics Education, Journal of Interactive Learning Research, Nordic Studies in Mathematics Education, Journal of Computer Assisted Learning, Journal of Educational Computing Research, Journal für Mathematik-Didaktik and The Teaching of Mathematics. 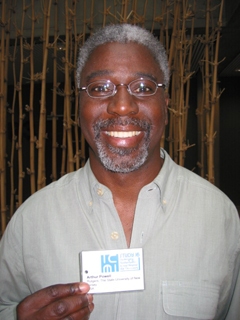 He is member of the editorial boards of Journal of Computer Assisted Learning and The Teaching of Mathematics. He has contributed to four ICMI Studies (to 12th with Professor M. Marjanovic, to 14th alone, to 15th with Professors L. Haapasalo and J. Hvorecky, and to 16th alone). Since 1985, he has lectured at summer and winter mathematical schools for talented students and at seminars for professional development of teachers of mathematics and informatics. These activities have been organized by the Archimedes Mathematical Club of Belgrade under the supervision of Bogoljub Marinkovic (a “Paul Erdös” laureate) with him he has written a booklet in Serbian entitled Method of False Presumption in Mathematics and Informatics. Dr. Alexander P. Karp is an Associate Professor of Mathematics Education at Teachers College, Columbia University. He taught mathematics at middle and high schools for the mathematically talented for almost 20 years. 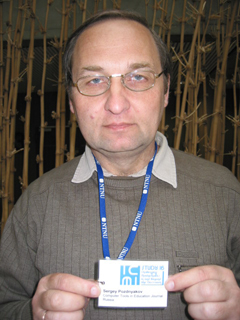 He was the leader of the St. Petersburg Team at the Baltic Way International Mathematics Competition in 1990-1997. Based on his work with students interested in mathematics, he has written two problem books for schools studying the advanced course of mathematics. In 1992-2000, he was involved in the reform of the system of Russian mathematics examinations (including the revision of their contents). As part of this work, he put together several problem books to facilitate conducting and preparing for mathematics examinations. He was chairman of the Mathematics Department of the St. Petersburg City Independent Examination and Assessment Board. Another important project was writing textbooks and problem books for students who are not interested in mathematics but wish to pursue studies in the humanities (in coauthorship with A. Werner). Dr. Karp has also been involved in in-service and pre-service teacher education. He has taught a number of courses and workshops on teaching the mathematically gifted and on problem solving, and he has sponsored several dissertations exploring problem solving. He has authored several teachers' manuals. Currently, he is very interested in the history of mathematics education, particularly in the history of mathematical problem solving. Romualdas Kasuba graduated from Vilnius University and afterwards obtained his PhD from Greifswald University in Germany. His doctoral theses was made under guidance of Prof. Juergen Flachsmeyer were devoted to general topology. Since 1972 Romualdas has worked at Vilnius University. His main field of interests are general topology, problems of teaching mathematics in the University and in the high school. He teaches various disciplines including history of mathematics, religion and communication skills and is interested in creativity in mathematical education as well as in psychological approaches of mathematical problems solving and also in popularization of nice and accessible problems. He published (2006) a book devoted to the various psychological aspects which one meets dealing with such problems How to solve the problem when you do not know how? English and Russian translations are also planned. Since 1978 he has been involved with the Lithuanian high-school Olympiads, since 1996 he has been both the leader of Lithuanian team-contest and the leader of the Lithuanian team to the International team-contest Baltic Way. 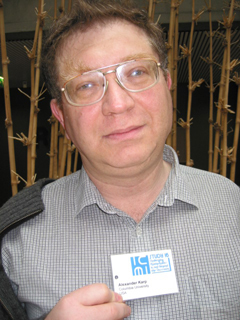 In 1999 to 2004 R. Kasuba was the leader of the Vilnius University team to IMC. He is an organizer of regional Olympiads in Lithuania and of the Lithuanian Olympiad for youngsters (grades 5 till 8). Since 1996 he has been deputy leader at IMO. He speaks more or less fluent Lithuanian, Russian, Polish, German and English and uses a quite a bit another languages too. Since 1998 he has written articles about mathematics for the Lithuanian magazine devoted for those who are interested in computers (edited together with PC). He has been a member of Lithuanian Kangaroo committee since 1999. Sesutho Koketso Kesianye is a lecturer in the Department of Mathematics and Science Education at the University of Botswana. She has been involved in judging mathematics projects and setting mathematics contest items for secondary schools. As a teacher educator, she has been responsible for teaching secondary school teachers how to teach topics that are commonly found to be challenging either to their students or the teachers. She is not very experienced in this area of challenging mathematics but has a lot of interest particularly that there is minimal expertise on such matters in Botswana. 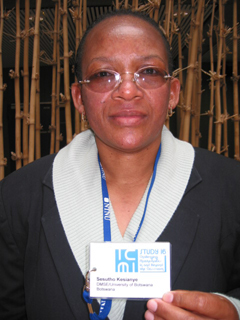 Her interactions with other educators at the conference would benefit the Mathematical Association of Botswana, of which she is a member, and which is the body responsible for organising national mathematics competitions. 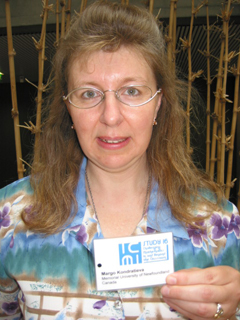 Margo Kondratieva is an Assistant Professor at the department of Mathematics and Statistics in Memorial University. She taught undergraduate and high school mathematics in various places in Canada, USA, and Russia. She is engaged in math competition training and coaching teams, in particularly for Atlantic Provinces Annual Events in Canada (APICS undergraduate conferences). She is interested in psychological aspects of learning and understanding mathematics, as well as in historical development of mathematical ideas. Some of her current projects in mathematics education are: oral assessment of students at the undergraduate level and potential of learning from mathematical paradoxes. Elena Koublanova is Associate Professor of Mathematics at the Community College of Philadelphia in USA, where she has worked since 1992. Prior to this, she was Associate Professor of Mathematics in St. Petersburg (Russian Federation), and taught undergraduate and master level courses in Mathematics for students with various majors. At that time, she was involved in work with capable and gifted students. Her research interests and Ph.D. Thesis were in Abstract Algebra, particularly in the field of group representations. At the Community College of Philadelphia, she is teaching all undergraduate courses in Mathematics. Her interests include methods of a classroom work with non-homogeneous populations of adult students in remedial and introductory math courses. She believes that carefully measured and curriculum-related challenging is a powerful tool in work with all students, including both capable and struggling individuals. Recently, she presented papers Identification of gifted students in introductory logic courses at the 3rd International Conference Creativity in Mathematics Education and Education of Gifted Students (Rousse, Bulgaria, 2003) and Teaching capable students in developmental mathematics courses at the 10th International Congress on Mathematical Education, TSG4 (Copenhagen, Denmark, 2004). Her paper presented for ICMI Study-16 addresses the issue of challenging students in an introductory, non-calculus based course of probability. 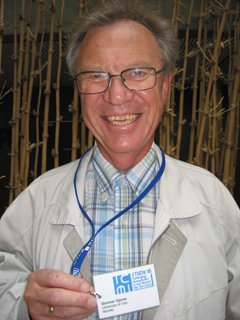 Gerard Kuntz taught mathematics in secondary schools, in France and in Madagascar, between 1966 and 2002. In both countries, he was involved in continuing training of mathematics teachers, within the frame of IREM . 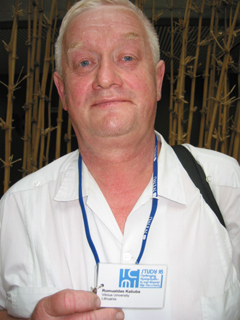 Since 1990, he has been a member of the redaction board of different specialist reviews for mathematics teachers, within the francophone world. He is especially in charge of the contribution ICT to the teaching of mathematics. He is collaborating with the editorial staff of an online review, which is to be created soon by an association of young teachers, strongly involved in producing online resources for the teaching of mathematics. He is taking part in the maintenance and in the documentation of Publimath, a database which references publications about the teaching of mathematics. He has written numerous articles concerning mathematics and ICT, and more generally about education problems. 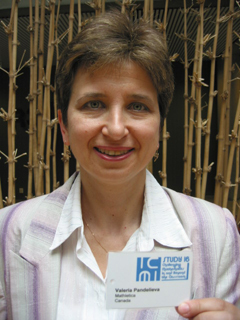 Roza Leikin is the Head of the Mathematics Education Division at the Department of Education in the University of Haifa. Her PhD dissertation (in the Technion - Israeli Institute of Technology) focused definition of Symmetry and its implementations to mathematics teacher professional development. Prior to this, she graduated from Gertzen State Pedagogical University of St. Petersburg. During a year (1997-1998), after finishing doctorate, she was a Post-Doctoral Research Fellow in the Learning Research and Development Center (LRDC), University of Pittsburgh. She teaches mathematical, didactical and research courses for pre-service and in-service mathematics teachers at the graduate and undergraduate levels. She had been secondary school mathematics teacher for 15 years. Her research interests are in the field of mathematics teacher knowledge and professional development as well as school mathematics education of gifted and talented students. She is especially interested in exploring Learning-through-Teaching phenomena and mathematical reasoning of gifted students. She is a scientific consultant in the Project on implementation of innovative technological tools in high school mathematics, CET (Center for Educational Technology) and a scientific consultant in the Mathematics education program, MOFET (Mathematics, Physics and Culture) Group for the advancement of Teaching. 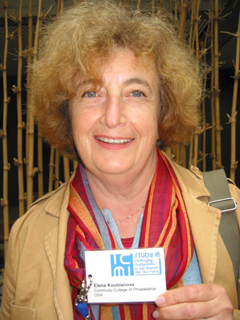 During five years (1999-2004) she had been a coordinator of TeLeM (Technion Lessons in Mathematics) Project - a Program for the Promotion of Mathematics Education. Gregory Makrides has a Ph.D. in Applied Mathematics from Illinois Institute of Technology, Chicago, USA. He has taught at Roosevelt University of Chicago, the Cyprus Pedagogical Institute and since 2000 he is a professor of Mathematics and Dean at Intercollege, Cyprus. He has publications in applied mathematics and mathematics education in refereed research journals, conference proceedings and in public press. He is one of the editors of the Mediterranean Journal for Research in Mathematics Education and the Editor of the Mathematics Magazine of the Cyprus Mathematical Society. He was an invited speaker or official guest in conferences in Greece, Malta, Bulgaria, Romania, Cyprus, Poland and Italy. He served as the National coordinator of the Cyprus Eurydice Unit and Minerva Unit, under the European Programme Socrates. He is the coordinator of some large European funded projects such as EDIPED: The European Digital Portfolio for the Evaluation of Educators and the MATHEU: Identification, Motivation and Support of Mathematical Talents in European Schools. He organizes European teacher training courses for the projects above under Comenius 2.2 action. He also runs European Training courses under Grundtvig programme with the title How to prepare full proposals for European Education Projects. He is the founder of the Cyprus Mathematical Olympiad which reached the participation of 15% of the Cyprus student body and founder of the series of Mediterranean Conferences in Mathematics Education (MEDCONF) reaching the fifth in the series. He is also the founder of the SEEMOUS (South Eastern European Mathematical Olympiad for University Students) which will be organized by MASSEE in 2007 for the first time. He organized many Mathematical Olympiads and competitions, including local as well as the Balkan Math Olympiads. He has been the chairman of organizing committees of more than 20 conferences including the most recent MICOM2006 (MASSEE International Congress on Mathematics). Gregory Makrides is the president of the Cyprus Mathematical Society, President of the European Association of ERASMUS Coordinators, Vice-president of MASSEE (Mathematical Society of South Eastern Europe), Vice-president of CASTME(Commonwealth Association of Science, Technology and Mathematics Educators), Active member of the Education Committee of the European Mathematical Society, Member of the Cyprus National Committee of Bologna Promoters and Cyprus representative for three-cycle system. 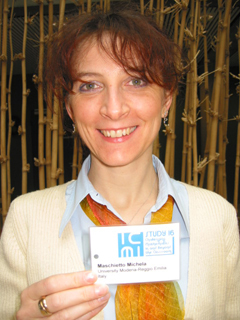 Michela Maschietto is a researcher at the Department of Mathematics of the University of Modena-Reggio Emilia (Italy). She teaches mathematics and didactics of mathematics to pre-service and in-service teachers at the Faculty of Education of this university. She studied at the Universities of Turin (Italy) and Paris 7 (France) for her PhD on the didactics of calculus at secondary school level within a graphic calculator environment. She was research fellow at the Department of Mathematics of the University of Modena-Reggio Emilia. 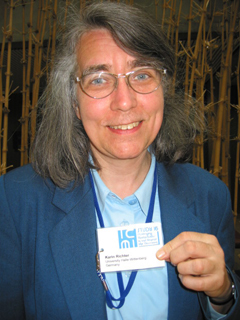 She was a team member of both the Topic Study Group 16 “Visualisation in the teaching and learning of mathematics” of ICME 10 (2004) and the Working Group 9 - Tools and technologies at CERME 4 (2005). Her research project concerns with the teaching and learning of mathematics with technological and non-technological tools. She is interested in the study of the mediation of instruments in the process of conceptualisation of mathematics at both primary and secondary school levels. She also works at the Laboratory of Mathematical Machines of Modena, where she manages the classroom activities, exhibitions and the website. She wrote a book together with Maria G. Bartolini Bussi about mathematical machines (Macchine matematiche: dalla storia alla scuola). 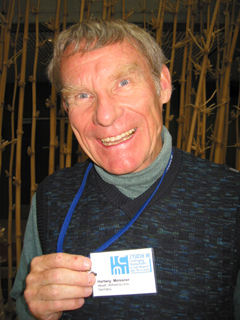 Ralph Mason taught mathematics and other subjects in grades 4 to 12 in Alberta, Canada, for fifteen years. After finishing his PhD at the University of Alberta, he became a teacher educator, first in British Columbia, Canada and now in Manitoba, where he is an associate professor. Ralph teaches mathematics pedagogy at the preservice, inservice, and graduate levels. Ralph’s research interests in mathematics education are varied. As the founding director of the Imperial Oil Academy for the Learning of Mathematics, Science, and Technology, Ralph has been able to develop collaborative research relationships with mathematics teachers with divergent interests. There are two research projects of potential interest to the working group. Trajectories is a longitudinal study of how students’ decisions regarding their mathematics courses interact with their identities as mathematics learners through their high school years. Thinking like Archimedes is a design research project with two goals: the development of challenging inquiry-based curriculum informed by the history of mathematics, and a study of how students’ perceptions of the nature of mathematics can be affected by success with intellectually challenging material. Recent publications include an article in for the learning of mathematics on high school mathematics students’ voices and identities, and a chapter on mathematics curriculum for Inuit students in Curriculum as Cultural Practice, a book to be released by U of Toronto Press this fall. Vince Matsko is an Associate Professor of Mathematics at Quincy University in Quincy, IL, USA, where he has taught mathematics at the undergraduate level for thirteen years. He has also worked with Quincy High School, serving for several years as a coach for their Math Team in preparation for mathematics competitions. Since 1995, he has been involved with the Creative Problem Solving Course at Quincy High School, a course designed specifically for students who have completed a year of calculus as eleventh graders and wish to pursue mathematics during their last year of high school. To learn more about some of the projects these high school students work on, go to this site and click on quincy high school or q-ball. He is working on a geometry text, Polyhedra and Geodesic Structures, which he uses along with co-teacher Todd Klauser at QHS. The text explores the design and construction of three-dimensional polyhedra and geodesic spheres, emphasizing the non-Euclidean nature of spherical geometry and trigonometry as well as including detailed derivations of all results. Vince has also used this text successfully in a college-level geometry course aimed at prospective high school teachers. To see some sample projects from this course, go to this site and click on geometry. Vince has other geometrical interests, such as mathematical envelopes, geometrical inversion, stellations of polyhedra, and higher-dimensional polytopes. Some of these topics have been incorporated into the Creative Problem Solving Course and his college-level courses. He regularly gives talks on various aspects of geometry at regional and national conferences. Visit this site and click on ICMI 16 to learn more. Born in Berlin, Germany in 1938, Hartwg undertook university teacher examinations (mathematics, physics, philosophy, education) in 1965/7 and obtained a doctor's degree in mathematics (Univ. Hamburg) in 1966. In 1965-1970 he was a teacher at a Gymnasium (high school) and in 1973/74 at a primary school. Since 1970 professor of mathematics education (Univ. Hamburg, Univ. Münster) and since 2004 professor emeritus. 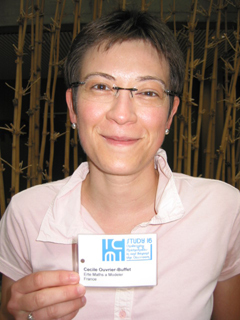 Cécile Ouvrier-Buffet is a teacher-researcher in Paris (University Paris 7). She has taught mathematics in university and is now involved in teacher education through the teaching of both mathematics and mathematics teaching methods. Her thesis, which concerned the dialectic between definitions construction and concept formation in mathematics, has been published in international journals. She is currently pursuing this topic in more depth from both an epistemological and didactical point of view. Her current research is also focused on the heuristics involved in research-situations and their possible use in the classroom. Situations of this type are connected to ongoing mathematical research and present the potential for innovative teaching and learning activities. This work is done in the context of Maths à Modeler, a research project, endorsed and financed by the French government, which brings together mathematicians and educators from various institutions. Her contribution to ICMI Study 16 focuses on this new kind of situation, its epistemological characteristics, and the didactical implications of its implementation in the classroom. Research-situations show promise for active work on reasoning and research processes. Valeria Pandelieva is a Math teacher, with more than 14 years of experience in different levels (from grade 5 to grade 12) and different range of students. She received her academic and professional education from Sofia University, Bulgaria and got most of her teaching experience there. Valeria has been involved for many years in teaching young talented students at the Sofia Mathematics School. During the years 1992 –1999 she participated in organising and carrying out national and international contests, including the National Math Olympiad, UM+ Contest for young math talents and the European Contest-Game Math Kangaroo. She also was involved, as a lecturer or team coach, in training programs and activities such as Math Schools and Camps: UM+ (1994, 1995, 1996, 1997, 1998, 1999), and Math Kangaroo (1998, Romania). In 1999, Ms. Pandelieva was a Deputy Leader of the Bulgarian Junior National team for the 3rd Junior Balkan Math Olympiad. Four of her students, who participated in the team, won medals and contributed to the overall first place of the team. In the same year, she received the award Best Teacher in Mathematics in the Nation’s Capital Sofia, for success of her teams and individual students at various contests. Serving in the Organising Committee of the Carleton – Ottawa Math Olympics in 2002, 2003, 2004, 2005 and 2006. Co-ordinating the European Contest-Game Math Kangaroo in Ottawa, since 2001. 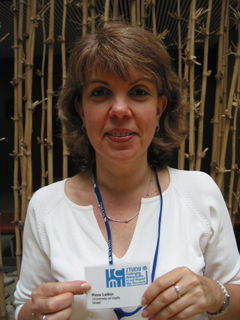 Valeria Pandelieva is an author of several articles on various topics on challenging mathematics for Intermediate students, published in the Bulgarian Math magazines Matematika and Mathematics Plus. She is also a co-author of two books used for many years as a learning resource for the Math enrichment programs and classes in Bulgaria. 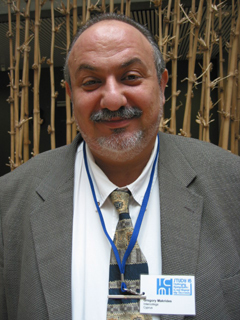 Mohammad Hossein Pourkazemi is Associate Professor of Mathematics at the Shahid Beheshti University, Tehran, Iran. He taught Mathematics to the undergraduate, graduate and Ph D students of Economics and Management for more than 30 years in different levels. Examples of the courses are: Calculus, Differential Equations, Linear and Nonlinear Programming, Mathematical Economics, and Statistics and probability. He is the author of many university text books in different areas of mathematics. He also translated some mathematics books that are used by university students. He is also the coauthor of several mathematics books for the high school students and the applicants of the University Entrance Examination. He is also Vice-President, Technological & Statistical Department of the The National Organization for Educational Testing of Iran (NOET). NOET is responsible for the University Entrance Examinations of the government universities of Iran in undergraduate and graduate levels. He is also Executive Manager of the Scientific Olympiad of the university students for more than 10 years. The Scientific Olympiad comprises 15 different scientific competitions from which the Mathematic is international. In 2008 Iran will host the world’s International Mathematics Olympiad for university students. Sergey Pozdnyakov is Professor of Mathematics Department of Saint-Petersburg State Electro Technical University in Russia. He participated in organizing and preparing materials for the First Soviet Union Mathematical Olympiad for Vocational School in 1985. During 1984-1993 years was scientific adviser an organizer of Experimental Mathematical Olympiads in Saint-Petersburg at the district and city level. During the period 1986-1988 he was one of the organizers of Correspondence School for Informatics in Mathematics with the popular youth newspaper Smena. He was a coauthor of some computer programs for supporting of mathematical learning, such as Verifier, DiaMath. He is now an editor of Computer Tools in Education Journal published under the aegis of Russian Academy of Education and since the 1999 he has been an organizer of the School for Modern Programming and author of some material for the School in discrete mathematics. During 2002-2005 he participated as expert in construction of the Russian portal for education in mathematical and physical sciences. Since 2004 he has involved in a new form of distant mathematical experimental Olympiad: Construct-Test-Explore. Editor of the Journal Georg-Cantor-Heft (in German; since 1998). Participation in international conferences on mathematics and mathematics education (France, Israel, Italy, Latvia, Poland, Russia, Slovakia). 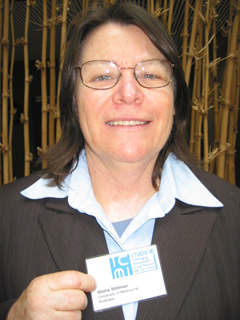 Linda Sheffield is the Executive Director of the Kentucky Center for Mathematics and a Regents Professor of Mathematics Education and Gifted Education at Northern Kentucky University. She is past president of the School Science and Mathematics Association (SSMA), was chair of the Task Force on Promising Students for the National Council of Teachers of Mathematics (NCTM), and is chair of the Math/Science Task Force of the National Association for Gifted Children. 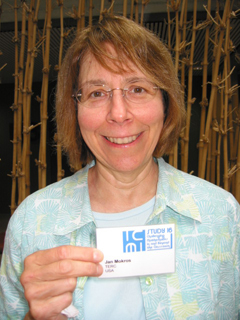 She was editor of the NCTM book Developing Mathematically Promising Students. Her other books include Extending the Challenge in Mathematics for teachers looking for ideas to amplify their students‚ mathematical power and co-authoring Awesome Math Problems for Creative Thinking, a series of problem solving books for children; the PreKˆ2 NCTM Navigations series; Mentoring Mathematical Minds, a series of mathematics units for talented elementary students; and a math methods book for elementary and middle school teachers. With a joint appointment in the NKU College of Education and the Department of Mathematics, her teaching includes preservice and inservice mathematics content courses and mathematics education courses for elementary and middle grades teachers. She has conducted seminars for teachers and students across the United States and as well as in Korea, Bulgaria, Denmark, Spain, Germany, England, Sicily, Japan, Australia, China, and Hungary with an emphasis on helping students develop their talents and abilities to the fullest extent possible. More information can be found here, and at the sites Project M3 and Kentucky Center for Mathematics. Bharath Sriraman is Associate Professor of Mathematics at the University of Montana, with an eclectic range of research interests. He works in the domains of Cognitive Science; Ergodic theory; Gifted and Talented Education; History and Philosophy of Mathematics and Science; and Mathematics Education. He received his PhD in Mathematical Sciences from the Department of Mathematics at Northern Illinois University, USA. Prior to this he received degrees at the University of Alaska- Fairbanks in Mathematics. His interest in mathematical challenges stems from being a high school mathematics teacher in charge of the gifted program of the school district, particularly addressing the needs of mathematically and linguistically gifted students. His research has partly focused on the mathematical creativity of gifted secondary school students in non-routine combinatorial, geometric, number theoretic problem solving situations and in teaching experiments involving the integration of mathematics and philosophy. 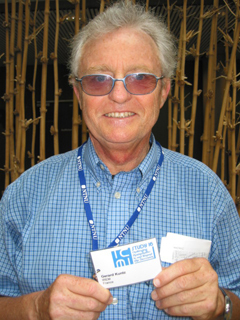 In the last 4 years, he has published more than 70 refereed papers, commentaries, book chapters and book reviews in the areas of advanced mathematical thinking, creativity, gifted and talented education, history and philosophy of mathematics and science, logical foundations of mathematics and problem solving which have appeared in internationally distributed scholarly journals. Bharath also maintains a research interest in Indo-Iranian Studies and is more or less fluent in 8-10 languages [English, Farsi, French , German, Hindi, Kannada, Urdu, Tamil, and others]. He is one of the co-organizers of the biennial International Symposiums of Mathematics and its Connections to the Arts and Sciences. Visit here and here. Bharath is the editor of The Montana Mathematics Enthusiast and he also holds positions on the editorial boards of Mathematical Thinking & Learning: An International Journal; Zentralblatt für Didaktik der Mathematik; Mediterranean Journal for Research in Mathematics Education; Journal of Secondary Gifted Education; Gifted Child Quarterly; and Interchange: A Quarterly Review of Education. He is also the Books Reviews Editor of Mathematical Thinking & Learning: An International Journal and Zentralblatt für Didaktik der Mathematik. Bharath holds active research ties with researchers working in his aforementioned domains of interest in Australia, Canada, Cyprus, Denmark, Germany, India, Korea, Mexico, South Africa and the UK. His website is located here. 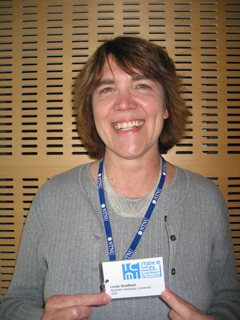 Dr Gloria Stillman is a Senior Lecturer in Mathematics Education in the Science and Mathematics Education cluster of the Faculty of Education, at The University of Melbourne in Australia. 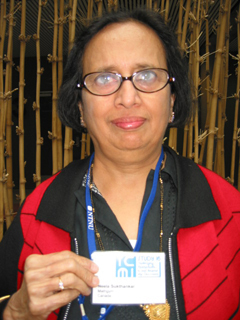 She is an active member of the International Community of Teachers of Mathematical Modelling and Applications (ICTMA). Her research interests have always been related to the use of challenge in the secondary school classroom through the use of problem solving, real world applications and modelling tasks. She is currently one of the Chief Investigators of a three year Australian Research Council funded research project investigating themes relevant to this ICMI Study. How teachers in the project engineer the learning environment in their classrooms to manage the increased cognitive demand of lessons where task contexts involve real-world applications and how students negotiate this challenge are being investigated. Gloria has taught at both the secondary school and tertiary level and has usually taken a problem solving approach to teaching mathematics. In universities where she has taught in the past this approach has been successful with pre-service teachers who do not have a high level of mathematical skill or confidence. Her publications include several papers and book chapters that deal with how students deal with challenging tasks that involve real world contexts. Ban Har is presently involved in teacher training at the National Institute of Education at Nanyang Technological University in Singapore where he teaches mathematics education. He teaches pre-service and in-service courses to primary and secondary mathematics teachers. He was previously a teacher and head of department in various secondary and primary schools in Singapore. He also teaches graduate courses to masters and doctoral students in the area of mathematical problem solving and early numeracy. He was attached to the Centre for Pedagogy and Practice as a researcher for two years. Presently, he is the principal investigator of a Ministry of Education of Singapore funded project with eleven primary schools. The project focuses on children solving word problems that require the consideration of context. His other research areas include mathematical problem solving and problem posing and the role of textbooks in different countries. His also the Singapore representative in an APEC-funded project on innovations in mathematics teaching. 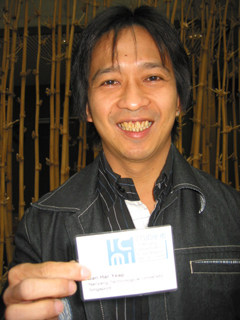 Ban Har has conducted workshops for teachers, including pre-primary teachers, in Singapore, Thailand, Indonesia, the Philippines, Hong Kong, China, United Arab Emirates, Australia and the United States of America. He has conducted workshops on the use of Singapore instructional materials for teachers at two NCTM conferences under the sponsorship of Texas Instrument. He sits on the school board of two international schools, St Marks International School (Thailand) that focuses on pre-primary and lower primary education and Anglo Singapore International School (Thailand) which is a primary school. He is the author of numerous academic articles and conference papers. Among them is an article in Mathematics Teaching in the Middle Grades (Volume 8 Issue 9 Pages 470-475) which he co-authored with his American collaborators. He also has a chapter in the publication that resulted from ICMI Study 13. He also delivered a regular lecture at the most recent East Asian Conference on Mathematics Education in Hangzhou, China and was a keynote speaker at an international symposium on mathematical problem solving organized by Srinakharinwirot University in Thailand. He is also a keynote speaker at the coming Mathematics Teachers Conference in Singapore. At present, Ban Har is on the editorial board of two academic journals - An International Journal Mathematical Thinking and Learning by Lawrence Erlbaum and Mathematics Educator by Association of Mathematics Educators. Ban Har holds a Ph.D. in mathematics education with a thesis on problem posing as well as a Masters of Education with a thesis on metacognition and a Master of Arts in Southeast Asian Studies with a thesis on Thailand. He was recently nominated for the Excellence in Teaching Award by his university.